Are You Thinking About Working in Canada? Many people from different countries are working in Canada, or planning to apply for a work visa, particularly in light of President Trump’s negative outlook on immigration to America. Many foreign professionals are now planning to move to Canada for work, as it is a welcoming, open country, with a lot of opportunity for hard working individuals. Canada is one of the global leaders in lumber and oil production, and currently has a very strong economy, with good trade links around the world. The Canadian currency is very strong as a result of the booming economy, which opens up many opportunities for employment for foreign nationals in Canada. If you are planning a move to Canada to look for work or to take up a job offer, then be aware that there are different types of Canadian work visa for foreign workers. Commonly used visas are the Temporary Workers Permit, the Caregiver Visa, the Federal Skilled Workers Visa, Express Entry, Quebec Skilled Workers Visa and the Working Holiday Visa. Canada is experiencing a skills shortage within the country, so certain sectors such as the tech sector are actively recruiting for talented foreign workers. 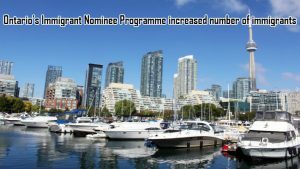 The service industry in Canada is also having a shortfall of Canadian nationals being available for jobs in the service sector, so are hiring a lot of workers from overseas. There are also a lot of jobs within the oil and lumber industries, for both skilled and unskilled workers. The healthcare industry in Canada also is a big employer in the country, and hires a large amount of foreign workers. If you prefer the outdoors life, the fishing industry in Canada is one of the worlds biggest, so often offers job opportunities for workers from other countries. Nursing jobs- There are positions for nurses open all over Canada. Forestry jobs – British Columbia is the place to go if you are interested in working in the forestry industry. Mining jobs – Alberta has many mining jobs for foreign workers. Jobs in the trades – (electricians, roofers, plumbers etc.) – Skilled tradesmen can be sure of finding their skills are in demand all over Canada. 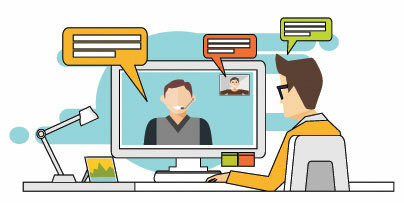 Translators – Partially due to the large amounts of foreign workers and students now living in Canada, there is a high demand for translators of most major languages throughout the country.